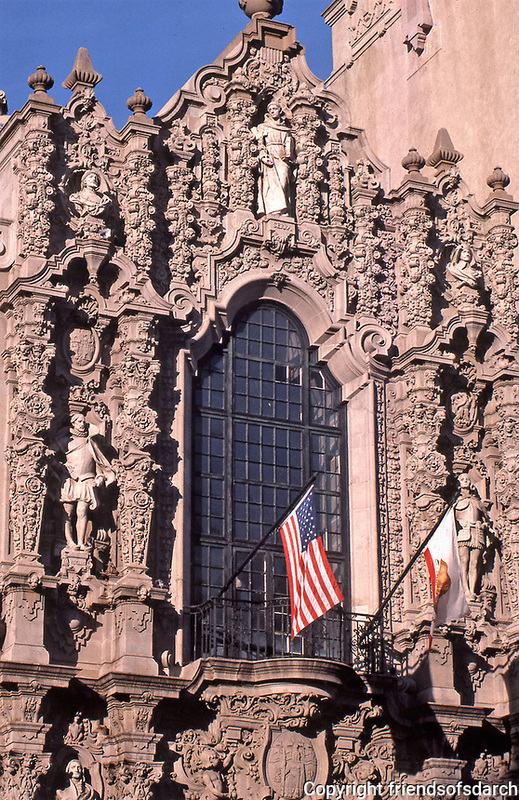 Balboa Park: San Diego: Detail of upper facade of Museum of Man. Bertram Goodhue, Architect. Photo Jan. 1987.